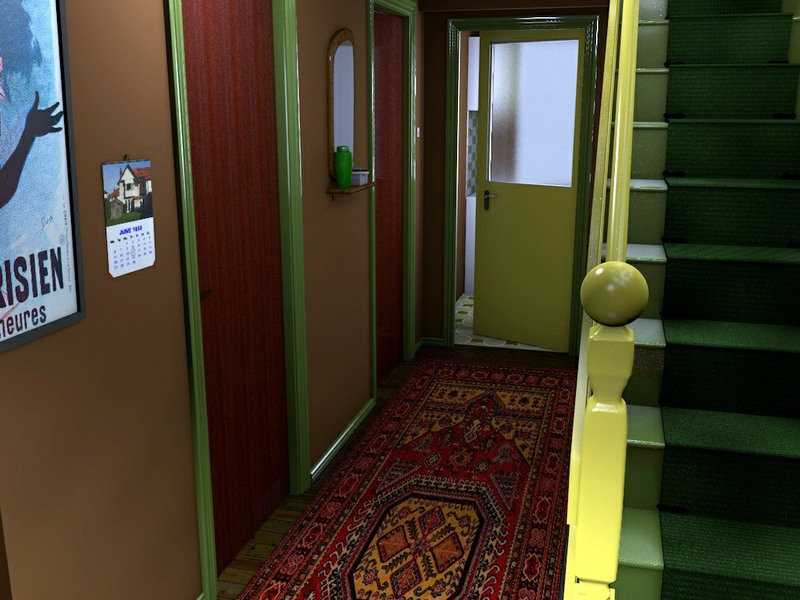 This is another episode of the 1960s house project which looks to feature the interior of houses as they would have been in the 1960s/70s. This time we are, in fact, in the early 1970s although this could equally be the late years of the preceding decade. I realised, as I have pointed out earlier, that a good source of original material are the various TV programs made at the time and this room appears in a comedy of the time. The house belongs to Bob and Thelma Ferris and appeared in The Likely Lads comedy series. It is not a copy of the room used but simply my interpretation of how they might have decorated the room and it is just one incarnation. 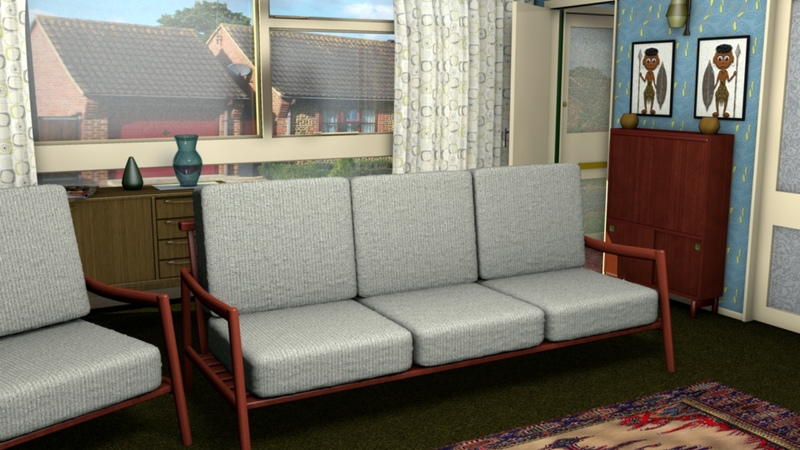 The beauty of using virtual 3D models is that I can change the furniture and decoration relatively easily which gives me the chance to try other mid-century decorative combinations. Although the series used a new house built in the early 1970s, the room could just as easily have been built in the 1960s. In keeping with the other rooms I have made, this image is also in printable quality on my Flickr page (link below) and I have included a wide-screen format colour image and a black and white image to show how the room would have looked in a photo of the period. Also, because it looked good, I have included a tinted image. A link to my Flickr page is here. 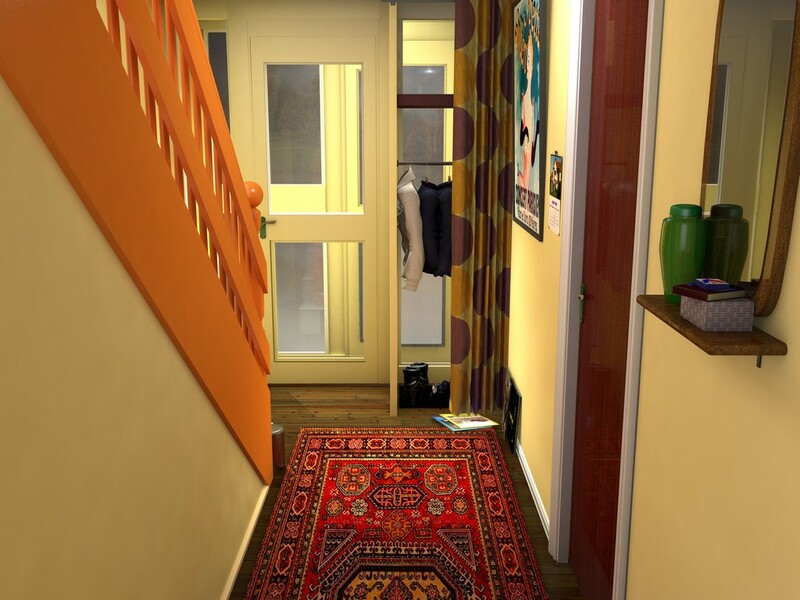 The hallway in West Avenue is meant to resemble the hall of a typical semi-detached house in Britain as it would have looked in 1966. This year was the time when the changes that the 1960s are famous for were just beginning and people were just starting to experiment with new styles and colours. This image is in two parts, the first photo – this one – is taken from the kitchen door and looking towards the front door and porch beyond. 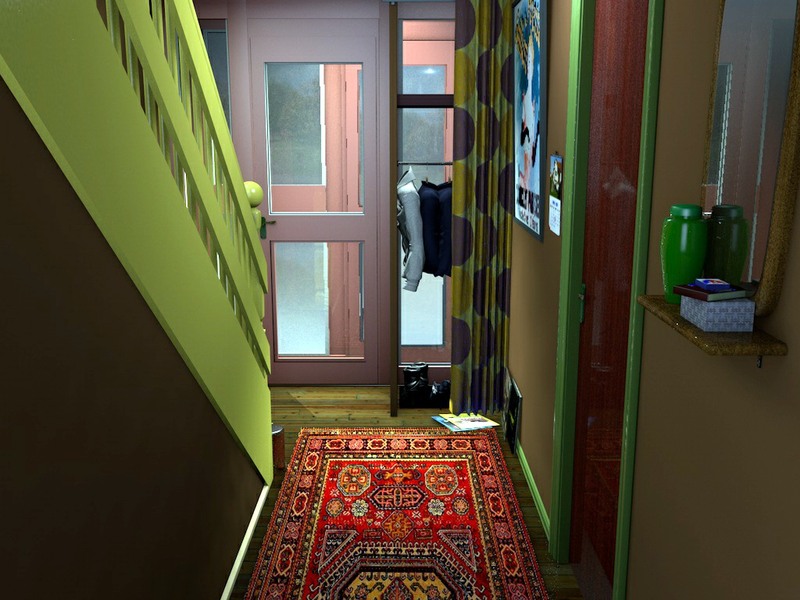 The second image is taken from the porch door looking back down the hall and I will post that image tomorrow. These images are low resolution, there is a high res image on my Flickr account and printable files are also available. In this incarnation, the walls are honeydew, a popular paint colour at the time, while the skirting and woodwork are white along with marigold (another popular colour). Using white as a colour for paintwork was also rather innovative since there was a belief that paint should be a colour, even it was off-white, rather than pure white.